Women's Cotton/Poly blend tank featuring Pardi Animal print on front. Bella Canvas tops in general have a pretty great feel and fit. Absolutely love my Pardi Animal tank! 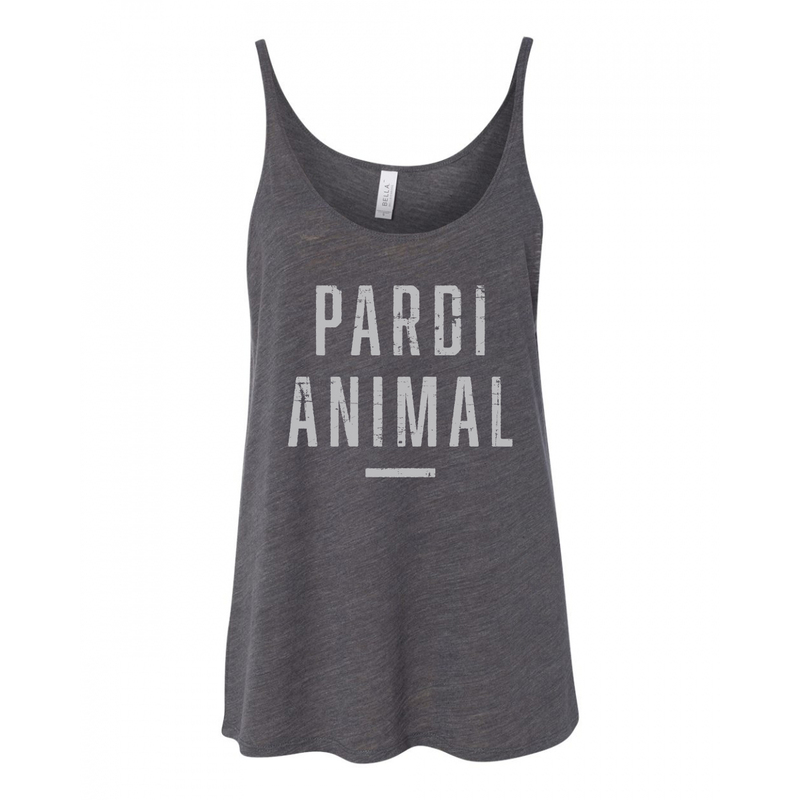 I love my Pardi Animal tank! I wore it for my meet and greet with Jon Pardi. I bought a medium, but probably should have gotten a small. It runs a bit on the large side. I do wish there was a tee available. I had to layer up since I wore it in the dead of winter lol. Love this shirt. Also, my little girl loooooves Jon Pardi. Will you be selling kid size stuff soon? Copyright © 2019 All Rights Reserved. Musictoday II, LLC, is the seller of all Jon Pardi merchandise and is solely responsible for all aspects of your purchase.